Lagos to buy 5,000 air-conditioned buses to replace danfo – Ambode – Royal Times of Nigeria. 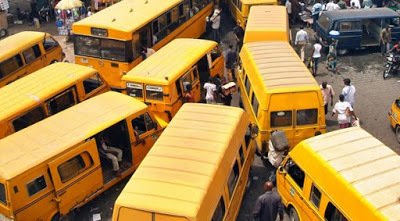 The Lagos Sate Governor, Akinwunmi Ambode, at the weekend said that the proposed Bus Reform Initiative aimed at giving Lagosians an integrated public transportation system would kick start this year with a sinking fund of N30 billion. He said; “We decided that the best thing is to allow the yellow buses go and so the Bus Reform Initiative itself is a three-year plan of 2017 to 2019 in which it intends to bring in new buses of 5,000 units in the three-year plan. “The bigger size buses will take 70 people and then the medium range buses will take 30 people. We believe that the middle range buses will be supplied up to 70 per cent of the total volume which will amount to about 3,600 units and then the longer range in that direction,”. Speaking on how the government intends to fund the initiative, the governor said that his administration would launch a public transportation infrastructure bond of N100 billion that would span between seven and 10 years, revealing that the government already has a sinking fund which it intends to put into the bond. He said; “You are aware that the Federal Government paid the refund of the Paris Club Loan last December and this is a money belonging to the State Governments due to the refund and so Lagos State decided not to touch its share of the Paris Club refund. Right now, we have a sinking fund of N14.5 billion that is already put in place to drive this public transportation bond. “By the time we have N30billion as sinking fund to drive the bus initiative against the bond of N100 billion that we want to put into the market, there will be that credibility and credence that the bond will drive itself and that is the whole idea,”. The Governor said; “So, these are bankable projects as we have a sinking fund and so our exposure as a government is just technically 75 per cent. So, from the kind of machinery we want to use to run the buses, there are no cash takings, everything is automated and obviously, whoever has a franchise, whoever drives, they have the recourse to take part of the money while part of the intake also goes to the repayment of the facility and so it is a comprehensive template,”. He said; “This is just a paradigm shift where Danfo drivers move from being addressed as Danfo drivers but as professional drivers. So, we will buy back the Danfos from them and it becomes the seed money to become eventual owners of those buses in the years the facility is spread. “We intend to start to go to the bus parks and all that to educate people and the integral part of these buses is what you see us trying to provide bus terminals, Laybys, bus stops. They are coming in pieces but they will become a complete cup of delivering this particularly product when we put them together,”.